Thomas Edward Jones, who fought in World War One, was a good friend of Gareth Pritchard’s Uncle Samuel. On 18th April 1916, Thomas wrote a letter to Sam, in which he said, “Dear Sam, Just a few lines hoping that you are as well as can be expected. As regards myself, I’m in the best of health and getting on fine, thank God for being so. Best of wishes, yours truly friend Tommy. Thomas Edward Jones is shown on the 1881 census for High Street, Rhos, as a 5-years-old boy at his grandparents’ house. Thomas’s parents were Leonard and Ann Jones and Ann’s parents were Thomas and Ann Williams. The 1891 census showed Thomas as a 15-years-old brick worker and his father as a 41-years-old widowed coal miner. With them was Thomas’s grandmother, Ann Williams, who had also been widowed. 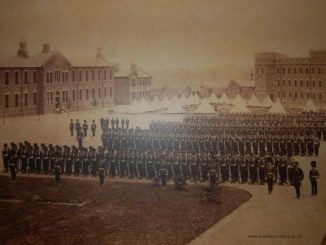 By 1900, Thomas Edward Jones of Osborne Street, Rhos, had enlisted in the Cameronians (Scottish Rifles) and he went on to serve seven years in India. Upon the completion of his active service he returned to Rhos where he worked in the Coppi Brickworks. On the 1911 census it showed that Thomas’s brother, Leonard Richard Owen Jones, had been married to Sarah Ann for three years. 34-year-old Thomas Edward Jones was living with them and working as a brickmaker (presumably at Coppi’s). 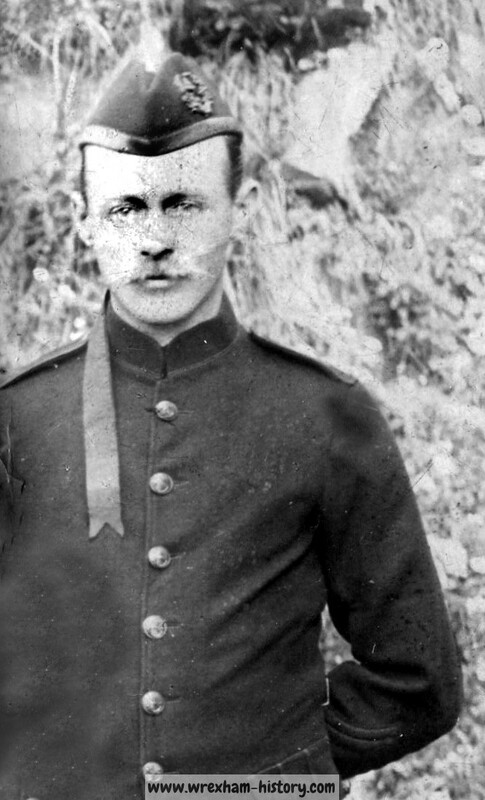 At the outbreak of war, Thomas immediately reported to headquarters and the third week in August 1914 found him in France. He arrived to find that the British Army was on the great retreat from Mons and for the rest of the war he remained in the thick of the fighting. The Rhos Herald of 31st October 1914 mentioned that Private Tom Jones of the Cameronians (rifles) had been in the great retreat from Mons and was writing periodically to his brother. 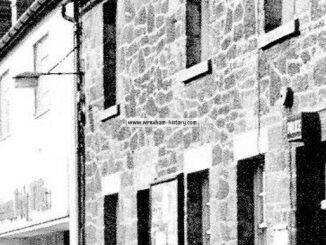 On 16th January 1915, the Rhos Herald published a letter from Private Thomas Edward Jones of the Cameronians (late of Osborne Street, Rhos). Thomas told how General French had complimented them for the way in which they held the enemy. Private Jones’ Brigade was composed of two Scottish, one Welsh and one English Battalion and they were opposed by fourteen German Battalions. 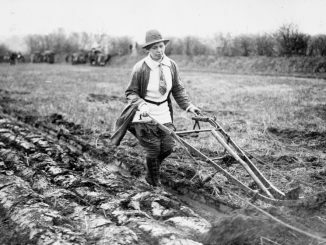 The Germans made several attempts to rush the British trenches but failed each time. On their final attempt they drove a flock of sheep ahead of them to “cover their dirty bodies – the cowards that they are” – but were mowed down and after about two hours’ firing they turned and fled, leaving their dead and wounded on the ground. Before day-break the following morning, the British soldiers went out to attend to the wounded and to bury the dead, but the Germans prevented them by firing from their trenches. Private Jones was of the opinion that the Germans behaved more like heathens than like Christians. He felt that for their Kaiser to call upon God for help in the slaughter was “perfectly sickening”. He told of how, failing to take the British trenches, the Germans started shelling a town that lay two miles to the rear of the British troops. They kept this up from about 7:30 pm until 8 in the morning. Hundreds of women and little children were fleeing for their lives in the cold and rain. On 6th March 1915, the Rhos herald told its readers that Private T. E. Jones of the Scottish Rifles had been serving in the thick of the fight since August 1914 but was hoping to spend a few days holidays in Rhos before the coming spring operations. By 20th May 1916, the Rhos Herald published Private Tom Jones’ views on conscientious objectors. Writing from France, Private Jones of the Cameronians wrote that they had, “got the Huns well in hand”. The German troops had been trying to cross the line in different places but found to their sorrow that there wasn’t much hope for them. Private Jones felt the end may be sooner than expected and he wondered if the conscientious objectors back home credited them with a conscience. He told of how they’d been out there since the beginning, enduring two winter campaigns and other hardships. He said that despite finishing their contract with the Army the Government had brought out a Bill to keep them out there, so that the likes of the conscientious objectors could stay at home enjoying themselves while others fought the enemy. He considered that they should be sent out there as it would do them all the good in the world. He said it was as much their country and they ought to be made to give a hand in crushing the mad dog of Europe. He then mentioned what he saw as another clique at home, namely those who threw mud at Mr. Lloyd George, but the soldiers fighting abroad knew how much the uncrowned King of Wales had done for his country and when the likes of the Daily News and others had gone, Lloyd George’s name would live in history as the man who saved his country against the common foe. Private Jones then spoke of how God was showing great and loving care over him in the dangers he had been through in the past and in whatever the future had in store for him. 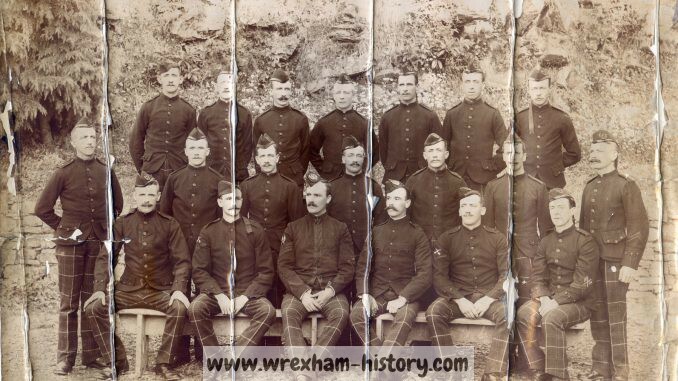 On 15th January 1916, a reporter from the Rhos Herald spoke of how he’d met Private Tom Jones of Osborne Street the previous week, when he was home on short leave from the Front. Tommy had been on active service since the third week of August 1914. Strange to say, Private Jones had come through the campaign without so much as a scratch. On one occasion at Ramillies the Germans were attacking in overwhelming numbers and Jones was one of the last to leave. As ill-luck had it, he got stuck in the wire entanglements and with bullets flying all around him he was desperately trying to free himself. He eventually broke free and caught up with his comrades. On another occasion, he saw four of his comrades killed when a “Jack Johnson” shell burst very near to where he stood. For six months he worked as a bomber in what was known as “the suicide club”. It was so called because a moment of absent-mindedness could easily result in them blowing themselves up instead of blowing up the Germans. 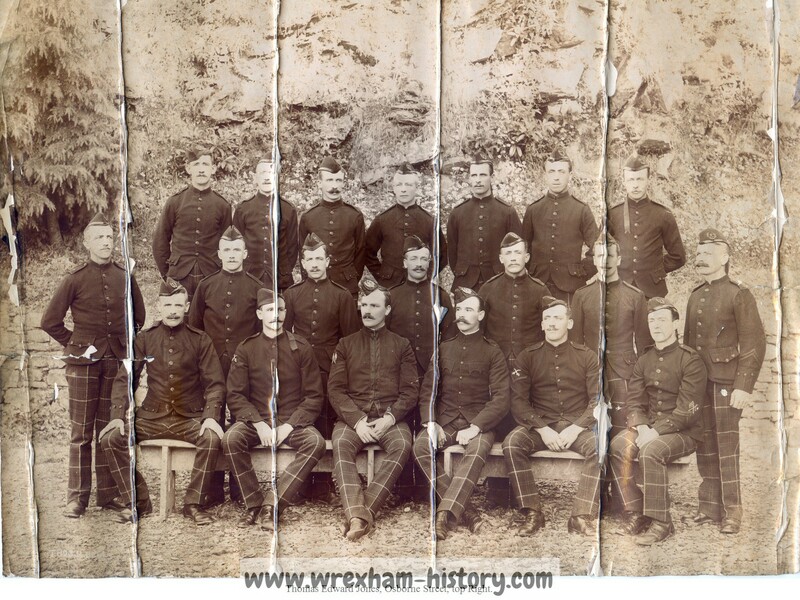 Private Jones told of how he received a letter telling of the death of his friend Elias Thomas of Rhos. Shortly after receiving the letter he actually met Elias Thomas, who roared out with laughter when he heard how news of his death had been received in Rhos. On 25th August 1917, the Rhos Herald spoke of how Private Tom Jones of Osborne Street had been home on leave. Other than a slight attack of “trench fever” he had passed through the entire campaign unscathed. 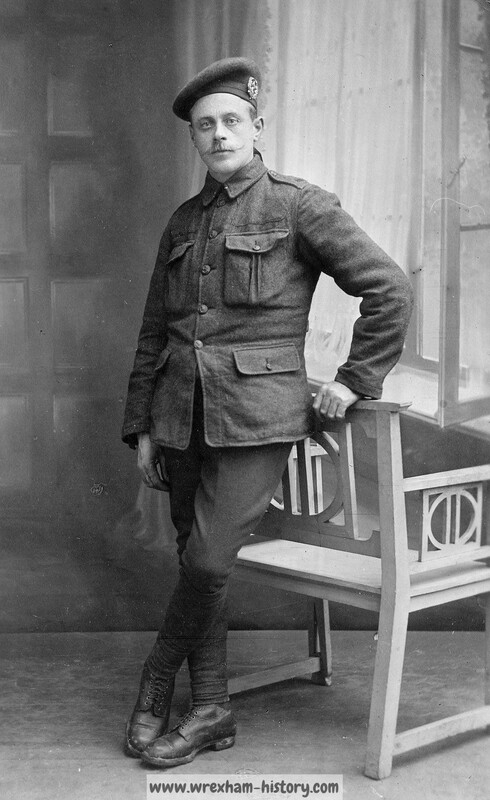 By 7th December 1918, Lance-Corporal Tom Jones of Osborne Street had arrived home, pending discharge. Lance-Corporal Thomas Edward Jones had survived World War One, without so much as a scratch, but sadly, on Monday, 13th January 1919, during his very first day of working at the Coppi Brickworks he had the misfortune to cut off the end of his finger. WRITTEN BY: DaveEdwards. November 2018. SOURCES: Census Returns; Rhos Herald; Gareth Pritchard; Grevin Jones; Eileen Williams.